If you are experiencing water problems in your home or building, the main concern is to find out where it's coming from, and stop it. We understand this, and we have the tool to help. Thermal Imaging. 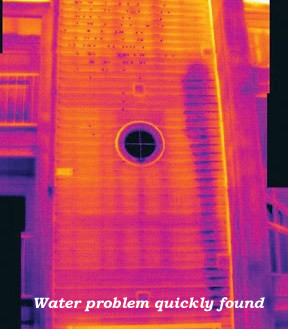 There is nothing like thermal imaging to find the cause of your problem. 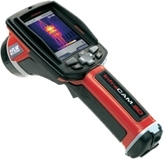 This amazing tool can detect changes in temperature by less than .05 of a degree. 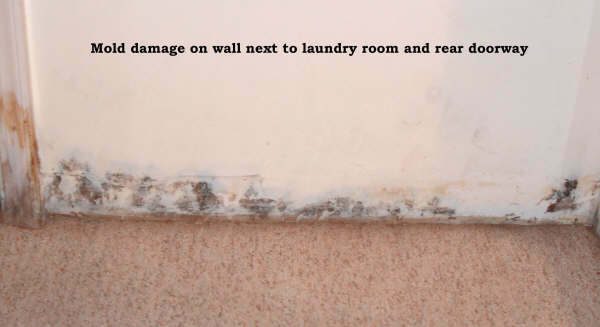 We can see why a certain wall may be a little bit colder than the one next to it. 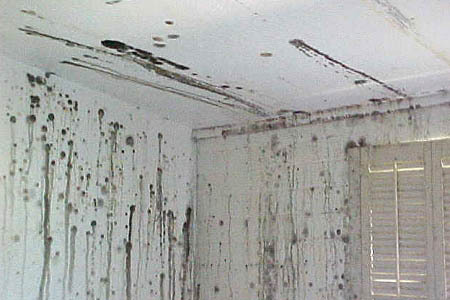 We can help find your water problem and normally, without any damage to the drywall or structure. 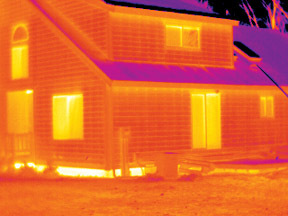 What other uses does Thermal Imaging have? 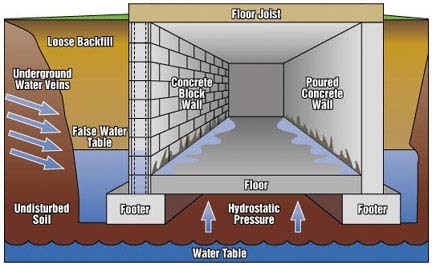 If we were inside this basement and the floor was covered with carpet, we could most likely isolate the point of entry and figure out what problem is causing the water to enter the home. Then we can set a course of action to stop it. 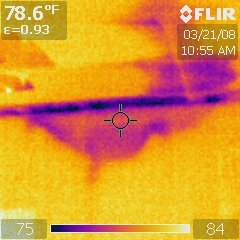 The first thermal image is from a water damage job we did in Potomac MD in 2008. 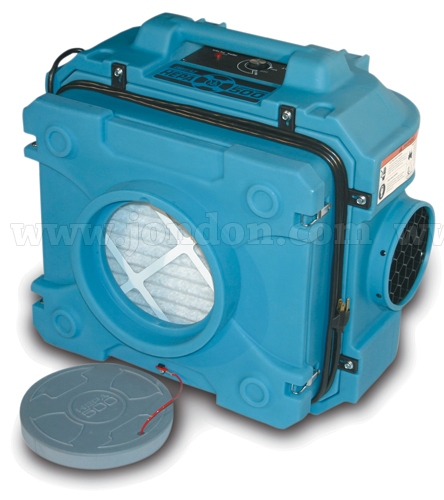 The dehumidifiers and fans had been running for over 4 days and all of the meters were reading dry. 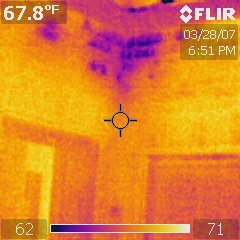 Once we did the thermal scan, it revealed the top of the wall in the basement bedroom was still wet. 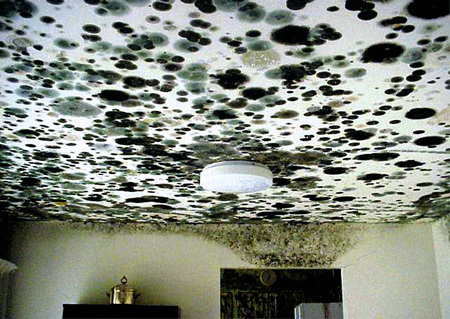 Without thermal imaging, this would not have been found and the chance of mold growth would be high. No water damage job is complete without a thermal imaging scan. The tenant in the 2nd floor apartment complained about a wet, musty odor in their storage area. The problem was a leaky washing machine line in the 3rd floor unit. 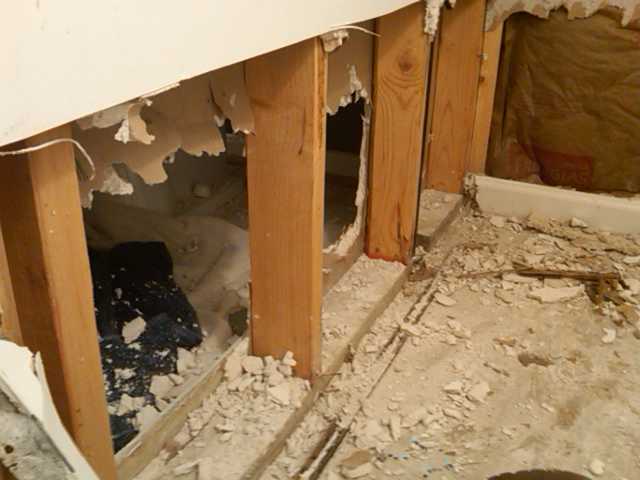 Thermal imaging saved thousands of dollars of wasted demolition work by finding the problem quickly and easily.